Welcome to the show notes for Episode 25 of The Spark Creativity Teacher Podcast. Here you'll find the outline of the show as well as all the links I mention in the episode. You can listen with the player below, or read on to discover what the show is all about. It’s fun to look back over this year and remember the highlights. My son started kindergarten, my daughter had her second birthday, I started this podcast and learned how to paddleboard, our family traveled to Santa Fe, Florida, and Minnesota, and I finally discovered thegreatest recipe in the world for chocolate cake. But those highlights are not the focus of today's show. Nope, today is about this year in the world of English teachers. It’s about my favorite things I’ve learned that I can share with you, to make a difference in your practice. So with no further ado, let’s give 2017 a round of applause and dive into the best of the best. If I could have devoted a podcast episode to sketchnotes this year, I would have. But it’s such a visual medium. 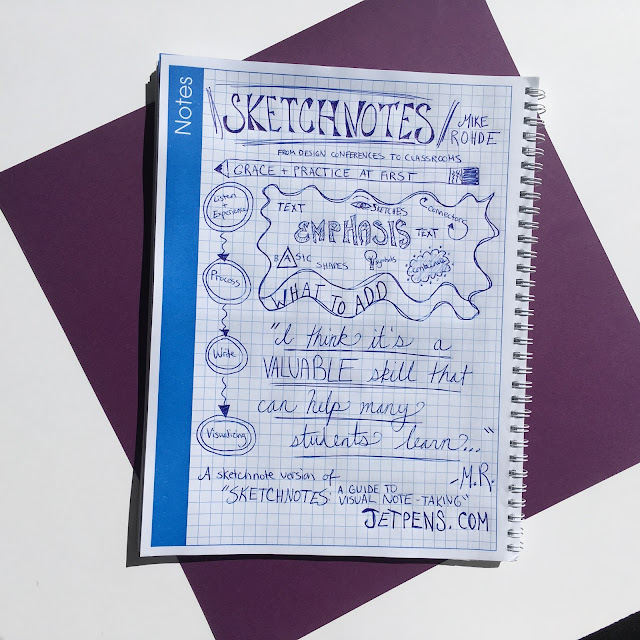 The basic idea of sketchnotes is that students create notes from lectures and discussions by writing down the basic ideas while drawing attention to what is important through highlight fonts, bubbles, sketches, symbols and more. They create a visual representation of the ideas they are presented with. By creating a work of art instead of just lists of ideas, they process the information and make choices about what is important and how to group things. They end up remembering the information far more clearly. 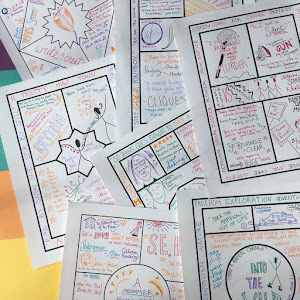 I LOVE sketchnotes, which is why I created an ultimate guide for using them in the ELA classroom earlier this year. Sketchnotes are a way of giving students real agency during lecture. For me, that is a game-changer. After I shared the Sketchnotes concept in my Facebook group, lots of teachers tried it out and the reports have been quite positive. Many teachers have shared photos of beautiful student work. When my school selected this for summer reading this year, I had never heard of it. That was then. Now I’d consider it the best book for teenagers that I’ve read in many years. This book will turn many a non-reader into a reader (and a teacher just told me a story of exactly that). Though it may be fiction, I know from hearing her speak that it parallels Thomas’ life very closely, and reading it was a far more powerful lesson in understanding the Black Lives Matter movement and the feelings many of my African-American students may be experiencing than any newspaper article or radio segment ever could be. If you haven’t read it yet, I strongly suggest you buy a copy for your outside reading library and dive in. So I’ve always known and used Youtube personally. It’s how I watched the entire gymnastics portion of the Athens Olympics while I was pregnant with my son, where I turn for snarky Saturday Night Live clips, and of course, the best place to find unbelievably hilarious cat videos. But this was the year I realized it was an English teacher’s goldmine. Discovering that Khan Academy has a grammar channel, that John Spencer has put together a collection of video writing prompts, and that John Green, hero of English teachers everywhere, has his own channel, was such a beautiful surprise! Here's a roundup of the best Youtube channels for English teachers if you want to explore this amazing set of resources. It was so fun to interview my friend Emily Aierstock this fall on the podcast about Escape Rooms. The basic idea is to give students clues and activities around your room that they have to find, do, and solve in their mad dash to the final prize at the end. This strategy, sometimes called escape rooms and sometimes called digital breakouts, has flared in popularity this year, and it’s easy to see why. Student engagement skyrockets when you gamify your content with this unique strategy. You might want to go back and listen to episode 17 if you’re interested in learning more. Or check out the blog post if you're more in the mood to read. This was the year I really started to understand genius hour's classroom uses. Committing to genius hour in class means giving students a chunk of time, whether it’s two weeks out of the year, every Friday, or some other period, to work on their passion. Whether they want to build their own motorcycle engine, make an origami zoo, write a cookbook, or start their own youtube channel. It doesn’t matter so much what they are doing as that they care about it. It’s their chance to explore what really matters to them. In a world where they may very possibly start their own business, invent their own product, built their own website, or work on a team that values creative innovation above all else, genius hour is an opportunity for students to own their own learning and prepare for the future they actually want to have. Figuring out how to build a bit of structure for the program isn’t too difficult, and can easily include some writing and presenting skills as they share their projects back with your learning community. 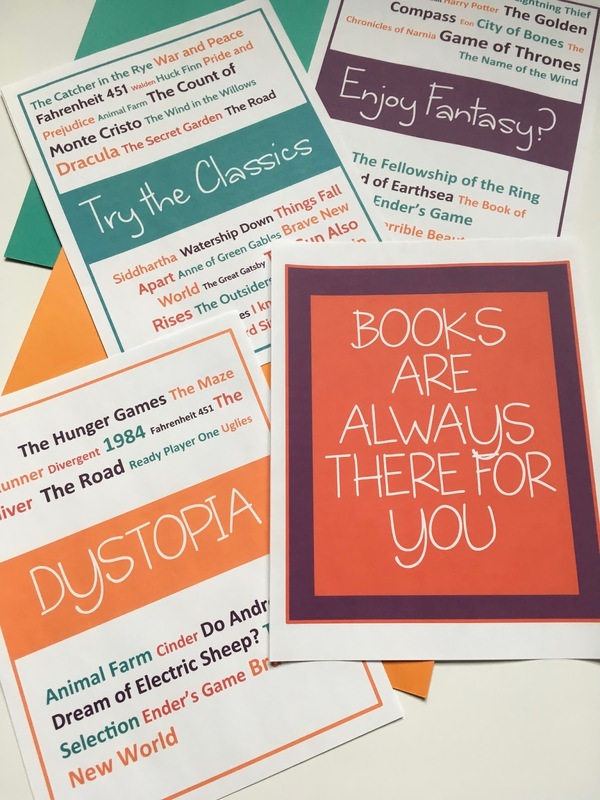 There has long been a movement toward encouraging students’ choice reading, and I have been a staunch member of that movement since the moment I learned about it. But as I listened to Jennifer Gonzalez and Pernille Rip discuss how many modern reading programs are killing a love of reading on Jennifer’s podcast “Cult of Pedagogy” this year, I felt like that movement was suddenly even more vital. Increasingly schools are turning toward excerpts, reading packets, and computer programs to teach reading. Which means for us as English teachers, sharing the best books we can in a truly splendid independent reading program is all the more important. I never realized how much learning and sharing can go on through Facebook until this year. 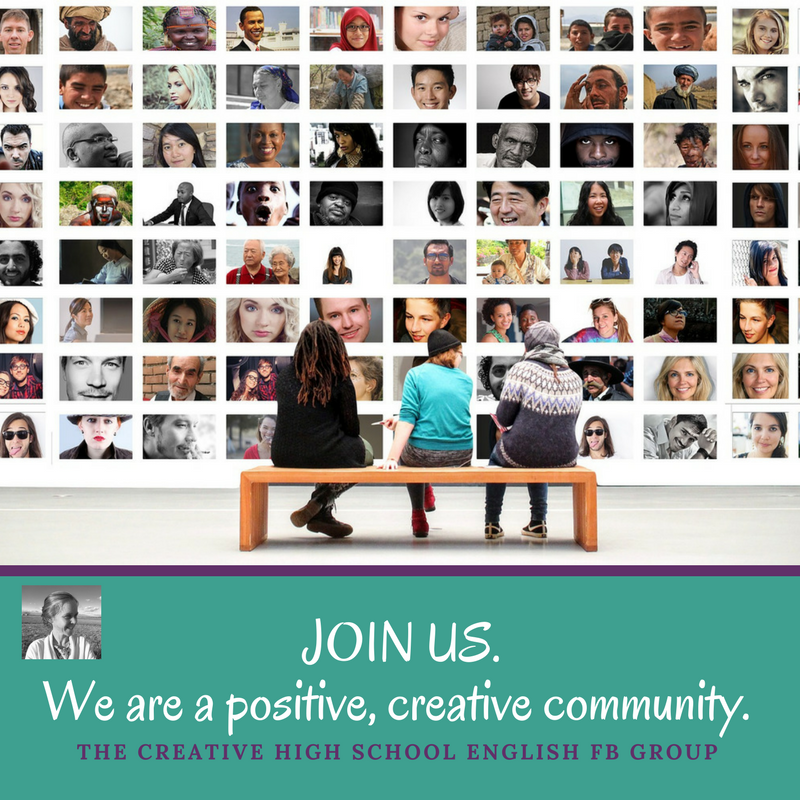 I started my Facebook group “Creative High School English” back in the spring, and now there are more than 1100 teachers inside collaborating, sharing and supporting each other. I find myself checking in multiple times a day just to see what people are talking about and see what I can add to the conversation. And I love to see other people’s classroom photos! Sometimes being a teacher is weirdly lonely, considering how public it is, and finding an online community that supports the type of teacher you want to be is really meaningful. Along the same lines, this was the year I started this podcast but it was also the year I first subscribed to a range of education podcasts. I’ve been fascinated by what I’ve learned on John Spencer’s The Creative Classroom, Jennifer Gonzalez’s Cult of Pedagogy, and The Flipped Learning Network. 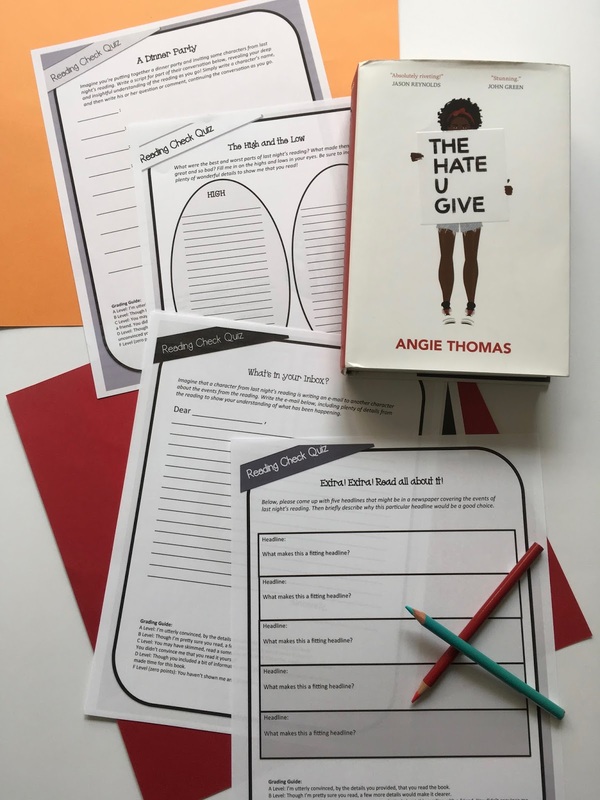 I also know a lot of teachers in my Facebook group are working on teaching with podcasts, particularly featuring the show “Serial.” This was the first year my school included some podcasts that matched some themes from The Hate U Give, our summer reading book, as part of the summer assignment. Figuring out ways to incorporate them into curriculum or even to have students broadcast themselves is something I’m definitely interested in right now. This year I began working with a website started by my friend Meredith Dobbs called teachwriting.org. 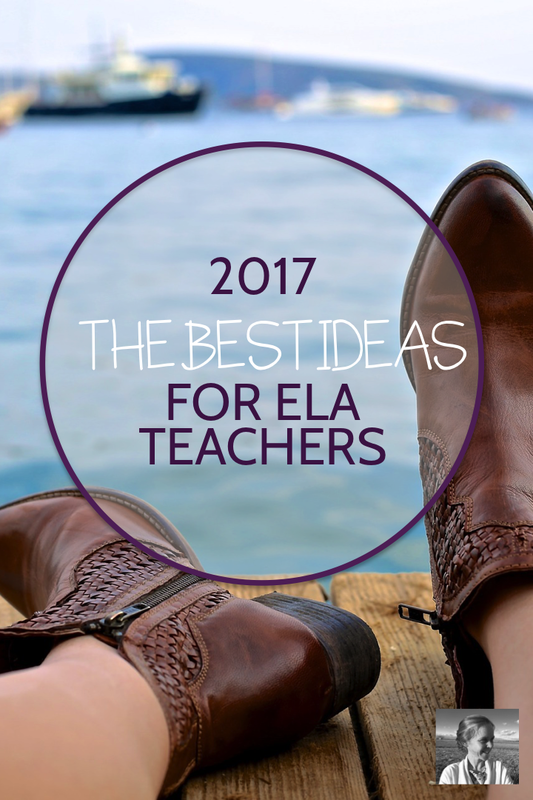 It’s a pretty amazing resource for writing teachers, and if you’re a new teacher or a teacher teaching a new level, you can quickly put together a wonderful list of writing strategies and assignments to implement in your classroom. 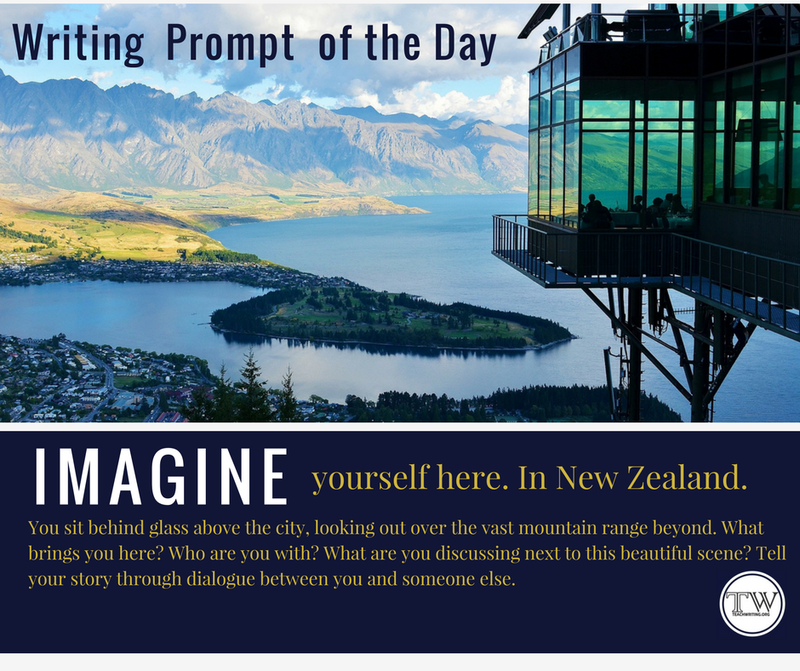 This website gets richer every week, as English teacher collaborators from around the country contribute their best ideas. You can also follow along with their Facebook page this year to get a free daily writing prompt every day. I love the photos I’m seeing on Instagram of reading libraries with cozy beanbags, yoga ball writing stations, stools along counters, and more. If you’ve got any budget at all, I think now is the time to dive in and add some splashy flexible seating to your classroom. If you're wondering where to begin, check out this flexible seating shopping guide from We Are Teachers. I hope you found something to inspire you for 2018! Don't forget to subscribe to the podcast so you don't miss January's special guest episodes. I'm looking forward to welcoming John Spencer from The Creative Classroom as well as Jenna Copper from Doc Cop.